If you haven’t discovered meetup.com yet, I can highly recommend it. If there is something you want to do but you’re not doing it, I can pretty much guarantee you that there are other people just like you, and you can meet them on meetup.com. There is parking at coordinates 33.093945, -117.204883. Enter those into Google Maps and you’ll be on your way. On the way to the falls, you’ll see the creek, ponds, mini-falls, cute little bridges, and flowers. My research indicates that this area was copper and silver mines from around 1857 into the early 1900s. There are remnants of the mines and operation structures throughout the area. The waters behind the small dam is said to be where ore would be cleaned before transport. I always find structural ruins to be of interest, and I was not disappointed at Copper Creek Falls. Copper Creek’s water comes from the Escondido Creek Watershed, which begins in Bear Valley above Lake Wohlford. The creek flows through a series of man-made ponds, part of the mining efforts, all the way to San Elijo Lajoon. The Copper Creek Falls Trails takes you through a grove of Eucalyptus trees which apparently were planted for firewood during the mining days. There were three vertical mining shafts over 300 feet long and one horizontal shaft over 200 feet long but those shafts were blasted in decades ago for safety. This entry was posted in Uncategorized and tagged copper creek, encinitas, escondido, San Diego, san elijo, san elijo hills on June 9, 2017 by Russel Ray Photos. Although meetup.com was launced in 2002, I didn’t discover it until 2007 when the Great Recession caused me to go on staycations and start exploring the nooks and crannies of San Diego County. Right now I am a member of 27 Meetup groups. 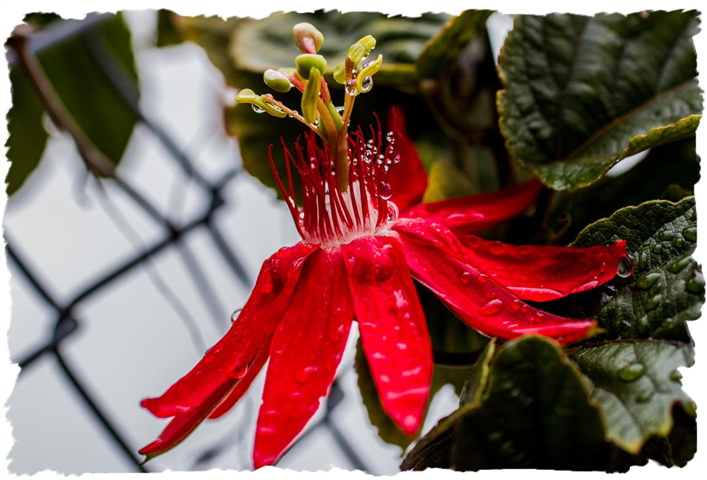 The most active ones are my favorite, like the Pacific Photographic Society and The San Diego Photography Collective. If you think you know everything about your local neighborhoods, join a meetup.com group and you’ll find that there’s always someone who knows more than you. Although Sutherland Dam & Reservoir is owned by the City of San Diego, the Ramona Municipal Water District also has access to the water. Construction began in 1927 but the dam wasn’t finished until 1954. In actuality, the dam only took three years to build. Construction had been halted in 1928 due to lack of funds and a disagreement over water rights. Escondido wanted to claim water rights because the natural course of the water would be flowing west and out to the ocean, not south to Ramona and San Diego, the two cities which currently have water rights. Money probably was the bigger issue, though, and in 1952 voters approved a $6.5 million bond for construction costs to finish the dam: $3 million for the dam, $1.75 for the tunnel, $250,000 for engineering and miscellaneous costs, and $1.5 million for right-of-way costs. I have no idea where the tunnel is; more research is in order. When the second phase of construction began in 1952, pipelines were added to the plans to direct the water flow through Ramona to San Vicente Reservoir in Lakeside and on to Lake Murray. More than 3oo dignitaries and spectators attended the dedication ceremony and luncheon hosted by the San Diego Chamber of Commerce on June 5, 1954. The curved arches are called semi-ecological arches. I could find nothing anywhere about semi-ecological (or ecological) arches, and yet here we have 17 of them between 18 buttresses. Sutherland Dam was the last of the multiple-arched dams built in the county. I did, however, find information about arch dams. According to Wikipedia, arch dams are designed so that the force of the water against them, the hydrostatic pressure, presses against the arch, compressing and strengthening the structure as it pushes into its foundation and abutments. Arch dams are great for narrow gorges and canyons with steep walls. They typically are thinner than other dam types, thus requiring much less construction material, making them economical and practical in remote areas. So maybe less construction material means a lesser impact on the ecology. Arch dams have a long history, with the first known arch dam being built by the Romans in France in the first century B.C. The latest was built in 2013 in China. The Sutherland Dam is 161 feet high and 1,240 feet wide, including the spillway. Concrete at the base is ten feet thick, tapering to just forty inches at the top. A walkway across the top of the dam follows the contour of the semi-ecological arches, but it’s not accessible to the public. Ha! The spillway keeps the water level below 145 feet (2,058 feet above sea level), a level that has only been reached twice, once in the late 1970s and again in the 1990s (haven’t found out the exact years…. yet). 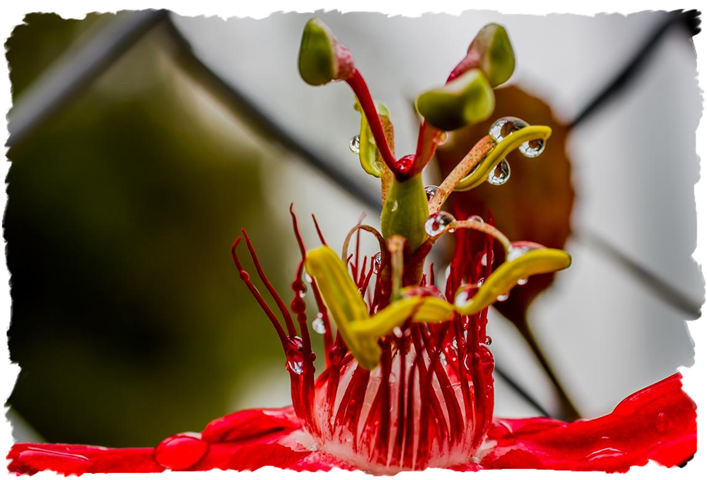 During the worst of the recent drought years, Sutherland Reservoir was so low that even after all the rain we have had during the past five months, the reservoir still is only at 7.3 percent of its 29,508 acre-feet capacity. According to a former reservoir keeper at the dam, there are a few cracks in it but they are considered safe. I’m not sure I would rely on a former reservoir keeper because when I was there on April 15, 2017, there were more than “a few cracks.” And there were leaks everywhere. Big leaks, too. YUGE leaks, as Twitler might say. Sutherland Dam is said to be one of the most earthquake-proof dams in Southern California. Judging from all the leaks I saw, if we have a major earthquake anywhere close to this dam, I think it’s going down. Since the back of the dam is completely shaded, there is a significant growth of ferns, lichen, and poison ivy. The Sutherland Dam & Reservoir is on the Santa Ysabel Creek in the Palomar Mountains in the Cleveland National Forest, and is part of the San Dieguito River Park which stretches from its headwaters at Santa Ysabel all the way to the Pacific Ocean, a distance of about 25 miles. Recreational activities in the area including boating, fishing, and hunting. Turkey season is in full swing right now, and I met a couple of bow hunters out looking for turkeys. Turkey numbers are said to be very high, and authorities are begging for turkey hunters to help out. Although the area was significantly impacted by the 2007 Witch Creek fire, Mother & Father Nature have returned with a vengeance. There are quite a few ruins throughout the area but I have not yet found any information about them. The fireplace and chimney standing all alone, with no evidence of a house foundation or walls, really has my interested piqued. There also are rumors that a garnet mine is out there somewhere, as well as an Iipay Indian village. Some thinking is that both are under water now. Since you already saw horseys out to pasture on your way in, I can highly recommend taking the back way out. Keep following Sutherland Dam Road, which will follow Santa Ysabel Creek. It’s a crappy road but worth going slowly and looking at the scenery. In the following picture you can see a fire trail climbing the mountain somewhat horizontally, and oaks growing in either a creek bed fed by rains or possibly even a natural spring that feeds into Santa Ysabel Creek. This is Cleveland National Forest, a typical Southern California riparian habitat but not what you’re used to seeing when someone says forest. You’ll get down to the intersection with Black Canyon Road where you can see the historic Black Canyon Road Bridge built in 1913. It was one of 18 three-hinged arch bridges built by Thomas & Post between 1909 and 1917. It uses the Thomas method of precast, reinforced concrete sections, which allows movement in two opposite directions using two hinges at the base and one at midspan, a design that compensated for thermal and seismic expansion and contraction. If you go right on Black Canyon Road, you’ll eventually reach part of the Mesa Grande Indian Reservation. You’ll have to turn right on Mesa Grande Road and go down to State Highway 79 to get anywhere. Turning left on Black Canyon Road will take you back to Ramona and State Highway 78. This entry was posted in Uncategorized and tagged 2007 witch creek fire, 3-hinged arch bridges, arch dam, black canyon road, black canyon road bridge, california, cleveland national forest, darrell beck, escondido, ferns, garnet mine, Iipay Indian Village, john p sutherland, lake murray, lakeside, mesa grande indian reservation, on memory's back trail, pacific photographic society, palomar mountains, poison ivy, ramona, riparian habitat, San Diego, san diego photography collective, san dieguito river park, san vicente reservoir, santa ysabel creek, semi-ecological arches, sutherland dam, sutherland dam road, sutherland reservoir, thomas & post on April 16, 2017 by Russel Ray Photos. San Diego is not a hotbed of rail activity, making train watching a hit or miss adventure. However, if you are looking to ride the rails, there’s no better place than San Diego. Amtrak will get you from downtown San Diego to Los Angeles with a few stops along the way. The Coaster will get you from downtown San Diego to Oceanside. From there you can take Metrolink to Los Angeles or the Sprinter east to Escondido. During World War II, streetcar service increased dramatically in cities throughout North America. As soon as the war ended, though, streetcar service began to decline in favor of rubber-wheeled busses which were more maneuverable and required less maintenance. San Diego was the first major city to switch over completely from streetcars to busses, with the last streetcar running in April 1949. PCC #529 originally operated in San Francisco. 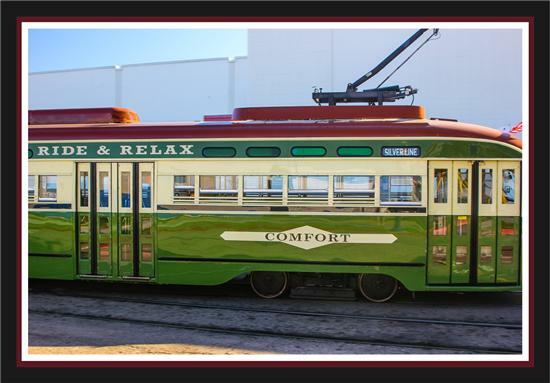 It was bought by San Diego Vintage Trolley (a non-profit subsidiary of the Metropolitan Transit System) from a collector in South Lake Tahoe, California. Although it was in poor condition, dozens of volunteers spent more than 10,000 hours over six years restoring it to operating condition, and it made its first run on the downtown loop on August 18, 2011. 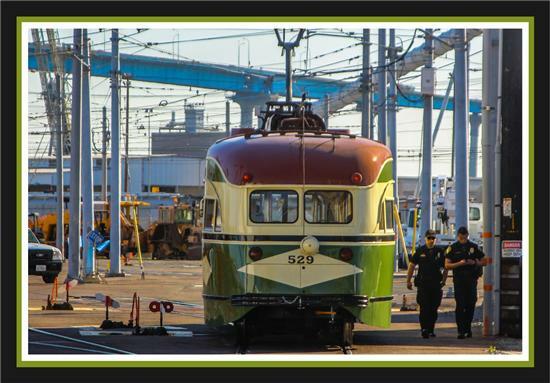 San Diego Vintage Trolley has five more streetcars purchased at the same time and which will be renovated for use in San Diego. Two were also used in San Francisco, while the other three were used in New Jersey and southeast Pennsylvania. 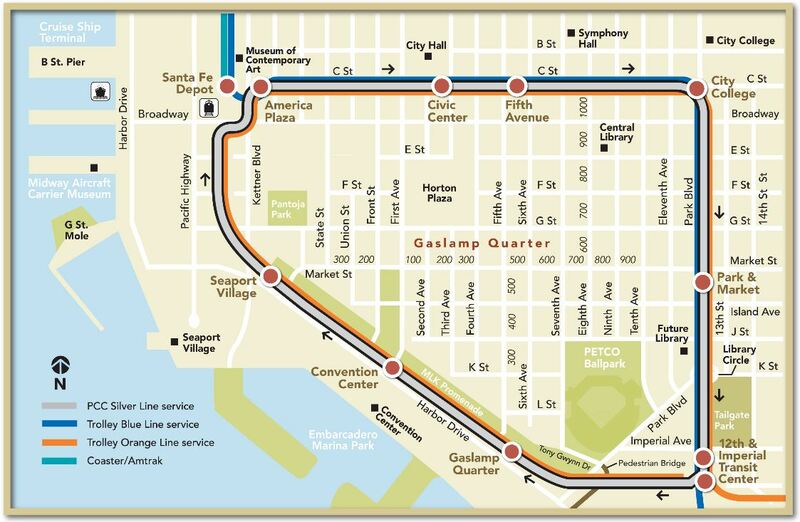 Take a ride on PCC #529 on the downtown Silver Line loop with stops at the Gaslamp Quarter, Petco Park, Seaport Village, the harbor, East Village, San Diego Convention Center, America Plaza, the Civic Center, and San Diego City College. 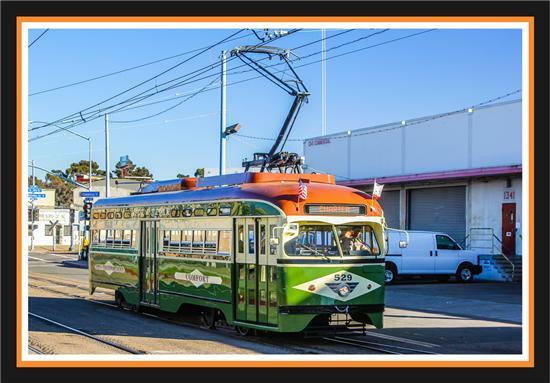 The Silver Line Vintage Trolley takes about 25 minutes to travel the full loop, and travel is in a clockwise direction only, just in case you need to make it somewhere. The fare is just $2, $1 for seniors and disabled. Children five and under ride free. You must have exact change. Although the PCC #529 can accomodate wheelchairs, only one wheelchair can be handled at a time. The Silver Line operates on Tuesdays, Thursdays, Saturdays, and Sundays. First departure on Tuesdays and Thursdays is from the 12th & Imperial Transit Center at 9:52 a.m. Last run departs at 1:52 p.m. On Saturdays and Sundays, first run departs from the 12th & Imperial Transit Center at 10:52 am with the last run departing at 3:22 p.m. 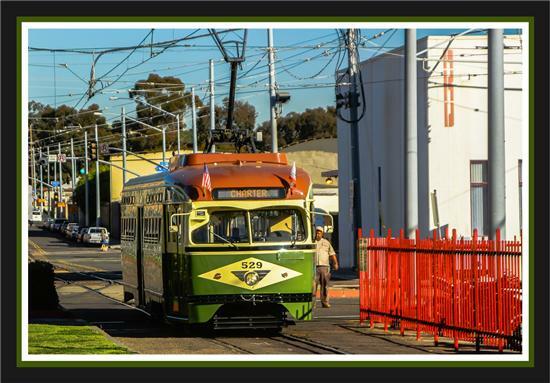 If you are interested in helping preserve the history of the San Diego streetcar system or helping with restoration, join the San Diego Electric Railway Association (SDERA). SDERA operates the National City Depot at 922 W. 23rd Street in National City. The historic Santa Fe railroad station has a museum, railroad cars, a large model railroad, and a gift shop. The National City Depot is open Thursday to Sunday from 9:00 a.m. to 5:00 p.m. Monthly meetings of SDERA are held at the National City Depot on the second Saturday of the month at 7:30 p.m. This entry was posted in Out & About, Photos, Railroads & trains, Series and tagged america plaza, amtrak, civic center, coaster, convention center, downtown, east village, escondido, gaslamp quarter, los angeles, metrolink, metropolitan transit system, national city, national city depot, new jersey, oceanside, paradise, pcc streetcar, pennsylvania, petco park, railroads, San Diego, san diego electric railway association, san diego trolley, san diiego city college, san francisco, seaport village, silver line, south lake tahoe, sprinter, trains on February 14, 2012 by Russel Ray Photos. San Diego County lays claim to a bird-lover’s paradise because there have been more species of birds seen in the County than in any other county in the nation. The current tally is 505 different species of birds being seen here. Early this morning my assistant, Eric Cooper, and I took advantage of that claim to go out with the San Diego Beginning Birders meetup group. 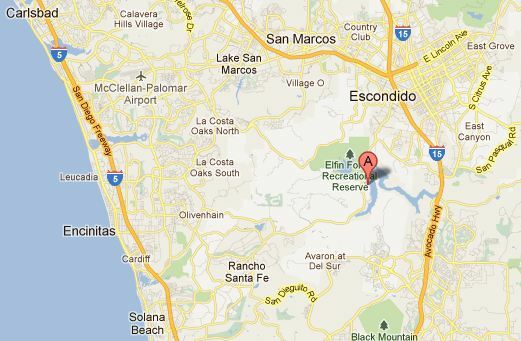 We met at 8:00 at Hernandez Hideway at 19320 Lake Drive in Escondio, right on the shores of Lake Hodges. 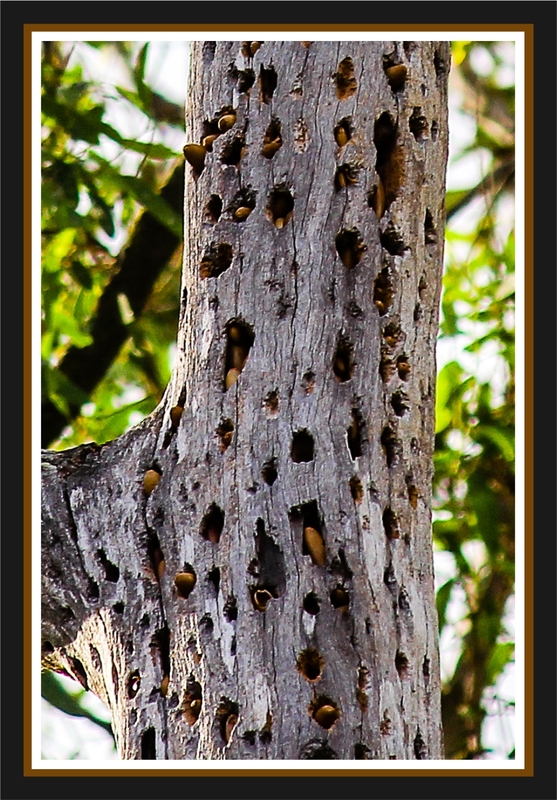 Acorn woodpeckers use the same granary tree year after year, so if you want to see a lot of woodpeckers, now you know where to go! 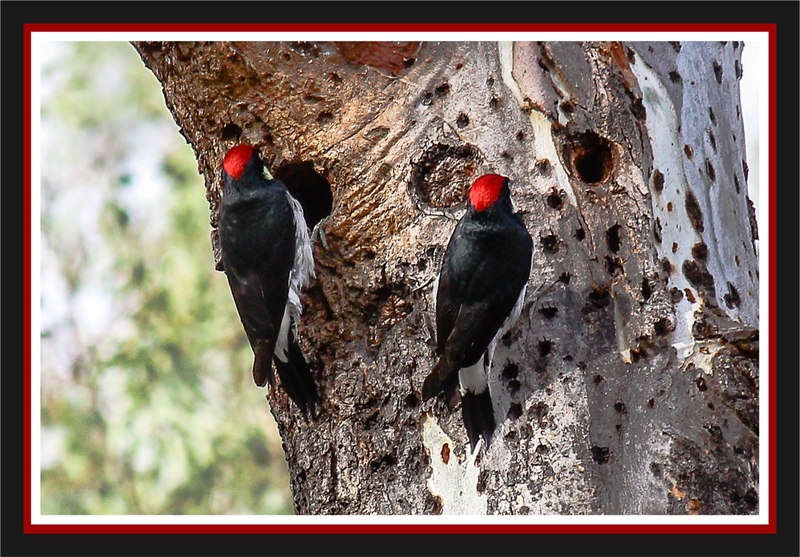 This entry was posted in Fauna, Mother & Father Nature, Out & About, Photos, Series and tagged acorn, acorn woodpecker, birders, escondido, eucalyptus, hernandez hideaway, oak, San Diego, woodpecker on February 12, 2012 by Russel Ray Photos.